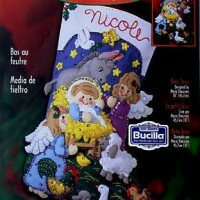 8 piece Felt Christmas Ornament Kit #83408. This is a discontinued 1996 pattern so if you love it please make sure you don’t miss the chance to purchase this rare and hard to find kit. 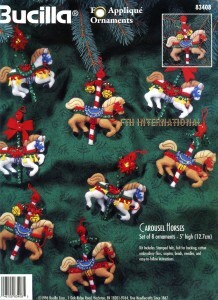 These Carousel Horse ornaments are sure to bring back happy memories for anyone who has ever had the pleasure of riding the carousel at a carnival, amusement park, or….. You will almost be able to hear the distinctive music of the carousel as you hang these adorable ornaments on your tree, mantle, or anywhere else you choose to decorate with them. When they are finished the ornaments will measure approximately 5 inches high. 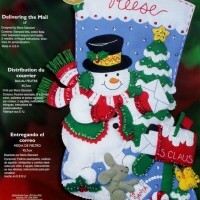 The bright colored felt and sparkling sequins that adorn these ornaments are sure to brighten your holiday decor. 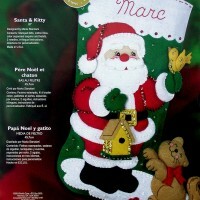 This kit contains everything you need to make 2 each of the 4 different ornaments shown in the pictures for a total of 8 ornaments.